The 1940s was one of the most significant decades in world history because of the devastating world war. The 1940s was also significant because of the changes in fashion. There was also the introduction of swing, jazz and blues music to a worldwide audience. The music trends of that decade were the instigators of today’s soul, rock and roll, rap and hip hop. 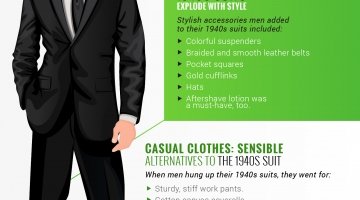 The outrageously cool 1940s suits and mens fashions are now main fashion focal points. Avid dancers of the day, known as “ducky shincrackers” would put on their two-tone stompers (like Belvedere and Mauri Shoes), and double-breasted zoot suits. They would go to a club like the Copacabana in New York City to spend their hard-earned cash and to hear what Harry Bellefonte, Bing Crosby, Frank Sinatra and Perry Como had up their sleeves. Men had to look as good as those famous dudes. 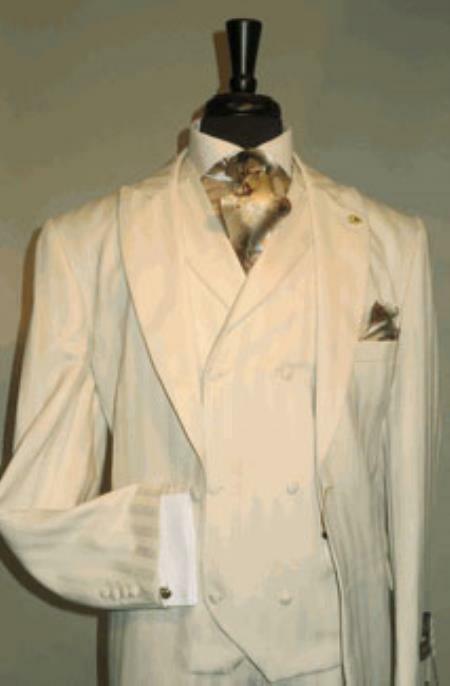 Hand-painted ties and big tie clasps were the icing on a three-button linen 1940s suit. Pinstriped white shirts with French cuffs were the stabilizers. Louis Armstrong and Ella Fitzgerald were the king and queen of the jazz scene in the 1940s. Armstrong always wore suits and ties that men flipped their wigs over. They had a gas when Armstrong would grandstand using a trumpet and his raspy voice. Enzo Pinza’s version of Some Enchanted Evening, from the hit musical, South Pacific, gave men the impetus to wear Hawaiian shirts and white pleated pants. The sounds of Benny Goodman, Glenn Miller, Jimmy Dorsey and the Ink Spots, as well as the immortal music of Woody Guthrie gave men another fashion path to follow. Woody Guthrie music brought out the V-neck, round neck sweaters, and vests of the decade, as well as Khaki pleated pants. 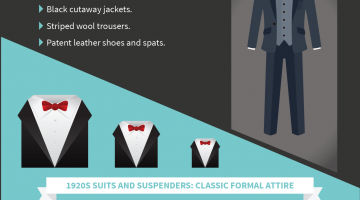 The big band music and artists gave men a business dress style still popular today. There is nothing more 1940s than a man in a gray, no vent, three-button flannel suit. 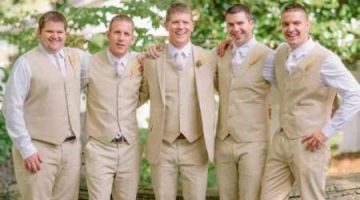 Those 1940s suits meant seeing an angry or “snap your cap” man looking to take off or “take a powder.” He wore off-white, pleated, cuffed trousers with big red suspenders and a shirt. That look always put the old “Fuddy Duddys” of the day to shame. Thanks to the music of the 1940s, young men learned how threads and music went together. 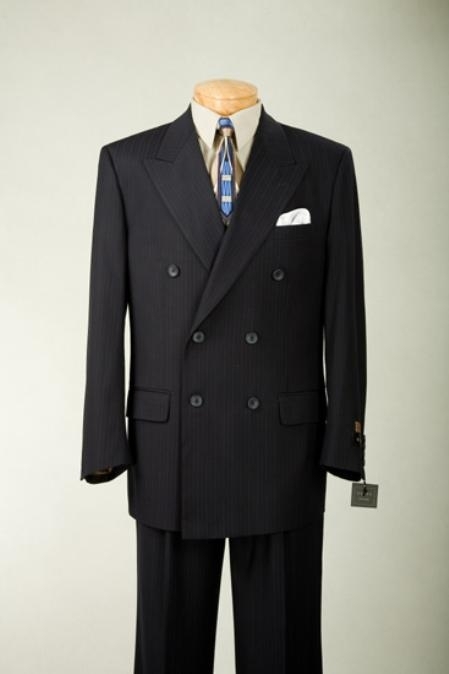 Music was the inspiration for American designers, and 1940s suits reflected that vibe. Music was healing after the war, and the 1940s was when music and Hollywood changed the fashions of American men.